Post below may contain affiliate links. Buying products through provided links may provide me a kickback for you doing so, at no extra cost to you. Talking about all kinds of beauty products used to be a regular thing on here. Then I drifted off and didn’t do many beauty posts. I felt like I wasn’t that great at or didn’t always know the new “in” thing, so I stopped doing it as much. A few months back though, I answered a question about beauty on facebook somewhere and it made realize just how much I missed talking about it. With that, I decided a good way to get myself back into talking about all the love of beauty was talk about some of my faves. A few round-up posts to get the ball rolling again. Am hoping that this will something you all will love again and maybe, just maybe, you’ll find a new favorite too! Getting that said ball rolling with some of my current favorites of mascara. One of the beauty items that I can’t seem to get enough of is mascara. Forever buying the new products to see if I like them more than my current or if they are going to wow me. Plus you are only supposed to keep mascara open for 3 months, otherwise, risk the extra bacteria in there and hello eye infections! Saying that I am totally guilty of using mascara much longer than that. Even though I totally buy enough to do just what I am supposed to do when it comes to length of use. Mascara buying is like a game to me. I like both higher end mascaras and cheap drugstore brands. Happily, I’ll try them all. Being much more guilty of using that mascara much longer than those 3 months if its a higher end brand though. I hate to pay that much and then only use it those 3 months when there is still gobs of product in there without clumps. Since I buy so many different mascaras the current favorites of mascara can change quite a bit. Which means this little round-up can be done more than others. 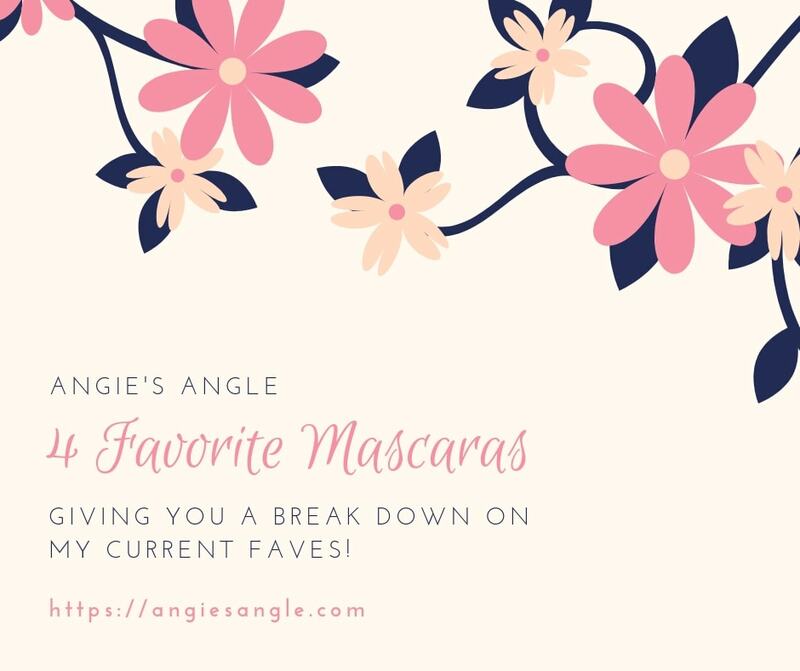 For now, though, let’s get you to my current favorites of mascara. Maybe you already use it and love it. Or maybe you’ll find your next new mascara to try. Either way, I hope you enjoy this roundup. Buying this one on a whim at one of my Ulta splurges because of the pretty package. Plus I think someone mentioned it was pretty great. Loving it from the moment I first used it. The wand was the perfect shape and when I pulled it out had no clumps like many mascaras before. A few swipes with the wand on my lashes puffed them out & curled them with ease. I was wowed from that moment on. You can buy it at Ulta for $23. Hopefully, you are going to love it as much as I have from that first moment. There was a giveaway with it not that long ago because I loved it that much and wanted to share. Maybe you’ll see another one in the future. For now, though, trust me and go out and splurge a bit on that 23 mark and try it yourself. For me, Maybelline is one of my favorite and go to mascara brands. It doesn’t seem to matter what Maybelline mascara I pick up, I like it and it does what it says. For me though, this one is by far one of my personal favorites. Honestly, what first drew me in to try this product was the pink wand. I mean, it was just pretty, so it had to work, right? Isn’t that the way things usually go? Happily, though it did do just that, work. Sadly once you use the mascara, that pretty pink wand vanishes and you just a black dye to use. Which saddens me a bit but remember it was that pretty pink color and still is under all that goo. Grab it now on Amazon for $5.60! Maybe even grab a couple at that price. Truthfully it’s been awhile since I have bought this product but I have been meaning to again soon. Only because there have a been a few other influencers lately that have raved about it and reminded me how much I did like it myself. I bought it years back and just kind of forgot about it. Loving that it has the primer right in the one tube and it does work. It makes your lashes long and easy to clean off too. Major plus points in my book. It was amazing though and I need to add it to my shopping cart myself. So why don’t you as well at Amazon for $8.54. Last Christmas or maybe a couple Christmas’s ago, I bought this product for both of my best friends. It was that good. Making me just happy while using it. No clumps, nice easy length with no fuss or mess. It did the trick on completely wowing me. Again it was originally one of my Ulta splurges on my test of higher-end beauty products and was once again a total win. You too can try it out at Ulta for $25. 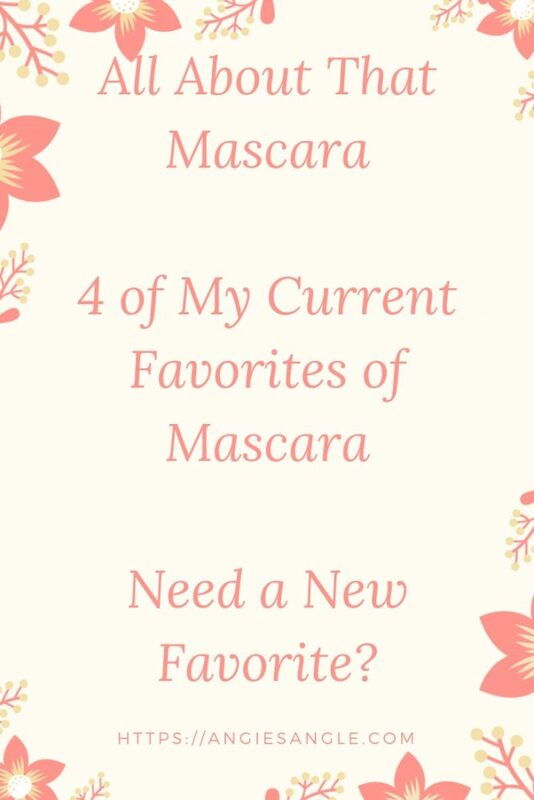 There we have my 4 current favorites of mascara. Now let’s hear from you. Any of these catch your eye? Have you used any of them before yourself? What are your highs and lows with them? Or maybe there is one I didn’t list this go around and is your current favorite? Let’s hear them!